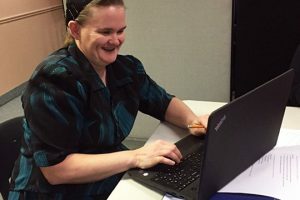 With help from a World Day of Prayer grant in 2016, Norfolk Community Centre provided ESL classes and assistance in working towards a high school diploma to up to 50 Mennonite women recently arrived from Latin America. “One child, one teacher, one pen and one book can change the world. Education is the only solution. Education First.” Malala Yousafzai spoke these powerful words when she spoke to the first ever UN Youth Takeover in 2013. As a teacher for 35 years, Malala’s words touched my heart. She reminded me of the times I watched children learn skills that would benefit them for the rest of their lives. She reminded me of the times I witnessed children realize their own potential. Studies have consistently shown that girls who receive an education can pull themselves and their families out of poverty and also benefit their communities. Yet two-thirds of the world’s uneducated or illiterate are girls and women. As a result, girls’ and women’s needs, rights, and freedoms are not always represented or upheld. The education of girls anywhere should be a concern for women everywhere! Heavenly One, Creator of all, touch the hearts of parents so that they can support and encourage the education of their children—boys and girls. Place a blanket of protection on little ones who cannot attend school due to poverty, wars, human trafficking, child marriages, discrimination, and abuse. Place a deep desire in us to develop caring communities and safe classrooms where children can blossom and learn. Great Teacher, teach us ways to uplift girls and women in our families and society. We ask for all of this in the name of Jesus. Amen.